BitFlow, Inc., a global innovator of frame grabbers for industrial, scientific and military vision systems, today announced it has joined the European Machine Vision Association (EMVA), a Barcelona-based non-for-profit association representing the machine mision industry in Europe. BitFlow aims to help shape the future of the region's machine vision technology and standards in conjunction with EMVA partners, as well as to leverage its membership to expand distributor relationships and boost demand for its frame grabbers. "Although we are headquartered in the United States, BitFlow is a global company with deep roots in the European marketplace," said Donal Waide, Director of Sales, BitFlow, Inc. "As an EMVA member, we look forward to participating in efforts to advance common interests with a like-minded association of Europe's blue chip vision companies and suppliers." 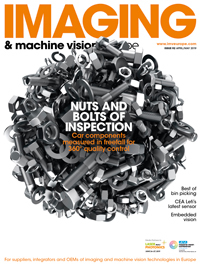 According to experts, the European machine vision industry grew by 10 percent in 2016 in comparison with the previous year, and will reach $4.47 billion (USD) by 2025. The ability of machine vision systems to process large amounts of data in milliseconds is a major factor driving market growth, especially in automation and robotics. These systems are also gaining traction in Europe's medical and healthcare sectors. With an inclusive approach, EMVA is open to all kind of organizations, including companies, research institutes, universities, consultancies, media, associations. All members benefit from the networking, cooperation and the numerous and diverse activities of the EMVA. Besides BitFlow, its members include Carl Zeiss, Chromasens, Framos, JAI, Mikrotron, Point Gray, SICK AG, Sony, Toshiba, and others.